Supreme Court of India has dismissed a Special Leave Petition filed against the order passed by the Division Bench of Madhya Pradesh High Court whereby it dismissed a PIL alleging misuse of 'Bharat Ratna' in commercial advertisements by Sachin Tendulkar. 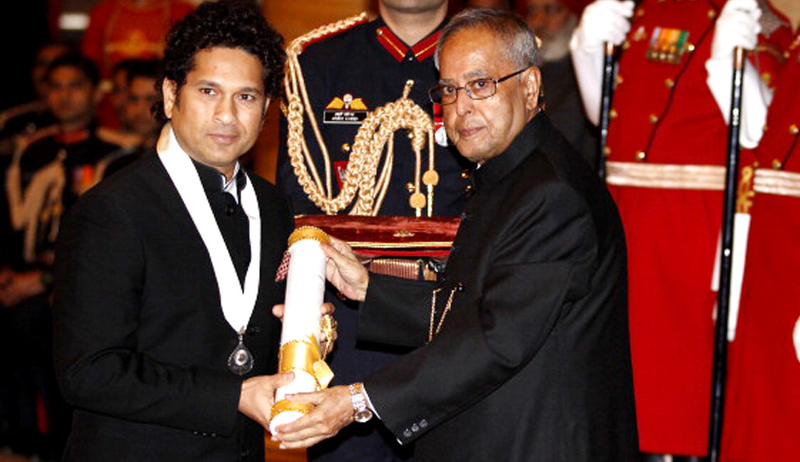 The Division Bench of Justices Dipak Misra and DY Chandrachud said that that there are no statutory provisions, rules and regulations which deal with the allegations that have been made against Sachin. Petitioner V K Naswah has highlighted two grievances, namely, certain authors have written books describing Sachin as 'Bharat Ratna' and also titled the book in that manner; and second, he has been participating in certain commercial activities. Dismissing the Petition, the Bench held that ‘In our considered opinion, what the petitioner intends to contend is that in the realm of regulation of conduct of an awardee which, we are disposed to think, cannot be gone into by this Court in the absence of any statutory provision. Had the Respondent No.2 written a book by using the words 'Bharat Ratna 'as a 'prefix' or 'suffix', the matter would have been different. When a third party writes a book, we have no hesitation in our mind that the Respondent No.2 cannot be held responsible’.